Children can begin beekeeping when they are of an age where they can take directions well. A good age for starting is five. It may not be advisable to start any younger than that. A really strange thing about bees is that they can even sting when they are dead, so children have to be careful even when handling dead ones. They should wear gloves and be careful to hold the dead bee by the body. Interestingly, bees are actually responsive to the beekeeper’s emotional signals, so it’s not a good idea to open a hive if you are in a bad mood. However, this can be a great learning tool for children to discover how to control their anger and to learn to practice patience. 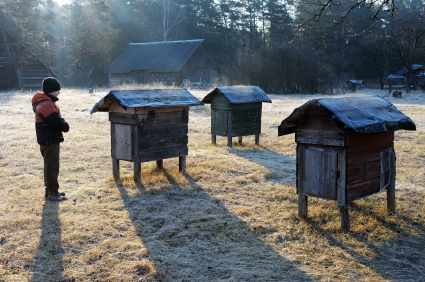 Beekeeping can even have a positive effect on their behavior at school. Caring for bees and their hives has been shown to have a calming effect on children and also the responsibility of beekeeping helps the children to feel good about themselves and have something about which to be proud of themselves. Safety is the most important thing to teach the children about beekeeping. They must always be suited up in the proper protective gear before they work with the bees. Bee supply stores sell beekeeper’s suits in children’s sizes. It’s important to get the right fit so that the child is properly protected. The suit should be a bit loose on the child, so ordering a size up from the normal size the child wears is suggested. It is a good idea to have liquid antihistamine on hand as a precaution. If a child does get stung, watch for signs of an allergic reaction. A few of the things that might happen in an allergic reaction are vomiting, fainting, the child may feel tingly or may even need to go the bathroom right away. Be ready to call emergency medical personnel if the child is exhibiting any of the signs mentioned. To get started on this beekeeping adventure, find a bee supply store or do some online shopping for gear and basic supplies in appropriate sizes for you and your children. If you order the hive or a beekeeping starter kit, let the children build the hive, or at least help with the building of it, as that will be a good learning experience. It also gives them a chance to get a good look at the inside of the hive before it gets filled up with bees. The children need to learn about the different kinds of bees, or the castes, in the hive and the responsibilities of each caste. There are the worker bees, the drones, and the queen. The worker bees are female and they are the ones that do all of the work. The worker bees actually perform different tasks according to their age. For the first few weeks of their lives they stay and do work in the hive. They keep the hive clean, tend to and feed the larvae, and take care of the queen. After that, they leave the hive to forage and bring back nectar and pollen. The pollen is the protein food that is necessary for the development of the baby bees. The drones are the male bees and their only job is to mate with the queen. They are larger than the worker bees and their fat bodies help to keep the hive warm. When they are no longer needed, they may be forced out of the hive to die. The queen also has only one job and that is to breed. She stays in the hive and is cared for by her daughters and she is the only in the female in the colony that breeds. She actually produces a pheromone that prevents the other females from reaching sexual maturity to ensure that she is the only one that breeds. There are other things that children will need to learn to work with the bees. One of those is using the smoker. The smoker is used to move the bees. This might occur if the colony is actually getting too large and needs to be split up into two colonies. Another thing important for children to learn is proper handling of the frame lifters. The frame lifters pull the screen out of the hive so that they can check to see if they are full of honey. 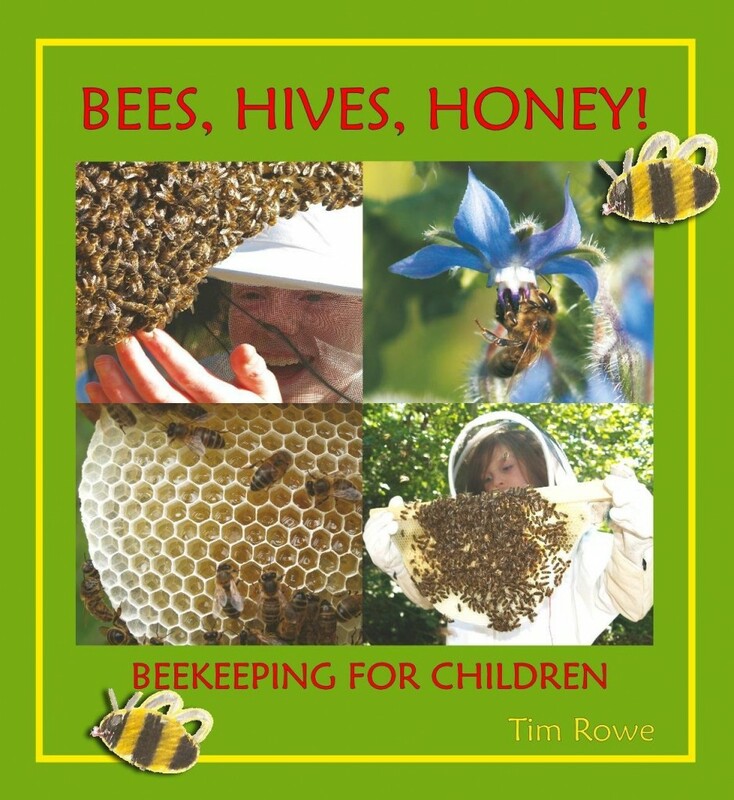 Beekeeping can be a great experience for children. There are plenty of books and websites to help kids get started. And there are a lot of people with years of experience in beekeeping that are happy to act as guides. The multiple ways that children can benefit from beekeeping are definitely a great reason to give it a try.